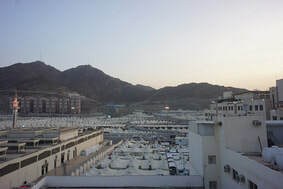 Hajj is the spiritual pilgrimage of Muslims to Mecca in Saudi Arabia. It is the largest annual mass gathering in the world, and involves close to three million people each year. Each year, the Hajj takes place from the 8th to the 12th day of the last month of the Islamic calendar. This year, Hajj will be happening between August 19 and August 24, 2018. ​Due to immense crowds present all in the same tight space, your health and safety are at greater risk. The risk of contracting infectious diseases greatly increases in this type of mass gathering, as does the risk of being physically injured. 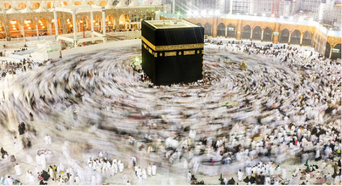 Infectious diseases, including MERS-CoV and cholera, can pose a risk to pilgrims participating in Hajj. According to the Government of Canada, there is an ongoing outbreak of cholera in Yemen, which shares a border with Saudi Arabia. The Government of Canada suggests that you take the time to prepare for your trip and learn how to reduce risk by consulting a specialized travel health clinic well before your departure. ​Saudi Arabia has established a number of health requirements that visitors must meet to obtain an entry visa for Hajj and Umrah 2018. Vaccination against meningococcal A, C, Y and W-135 is mandatory and must be administered at least ten days before entry into Saudi Arabia and no more than three years prior to entry. Upon entry into Saudi Arabia, the meningitis vaccination certificate (ACYW135 vaccine) will be required. 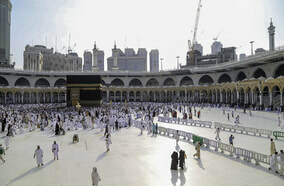 Upon arrival at the airport, pilgrims must hand over their passports to enable authorities to complete all necessary formalities for trips to Mecca and Medina. ​The seasonal flu vaccine is also recommended, especially for travellers with chronic diseases, as well as those over 65 years of age. It is highly advisable to be up to date with base vaccinations recommended in Quebec, especially against diphtheria, tetanus, polio, measles and whooping cough. La Clinique Santé Voyage offers you pertinent and comprehensive travel health recommendations, including vaccinations against meningitis, influenza, hepatitis A and hepatitis B, and several other vaccinations and prescriptions, all based on your individual health needs evaluated during your personalised consultation. A recognized vaccination certificate and a receipt for your insurance is always included with your consultation. ​Specialised in vaccination and the health of travellers worldwide, our medical team at La Clinique Santé Voyage will ensure protection of your health and peace of mind for all your travels. Although we offer a quick service for last minute travellers, it is prudent to book your initial consultation 4 to 6 weeks before your trip, especially if the trip is rural in nature or in a high risk area. Our health professionals provide you with a comprehensive health evaluation during your consultation to assess risks and your individual needs.